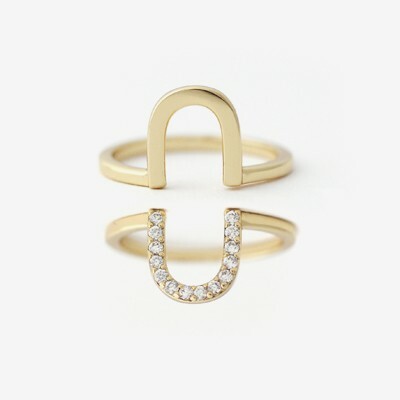 Double up on the U ring for a sparkling oval statement ring. Both rings are the same size. Focal Size: .5 x .5"